As a modern driver, you are proud of your ride. It pays to care for your vehicle, especially if you are one of those individuals who likes to let their vehicle shine. Beyond scratches and cracks, dents are among the most common types of damage sustained on the road (or parked). This unsightly damage can result from impacts from falling hail or road-bound rocks, collisions with other vehicles, and so on. In many cases, the consequences of hail leave the paint’s surface intact, resulting in an ugly assortment of pockmarks across the hood and roof of your beautiful car or truck. If you’re on this post because you are looking for the most effective and affordable car dent removal services available, then you’ve likely heard of PDR. 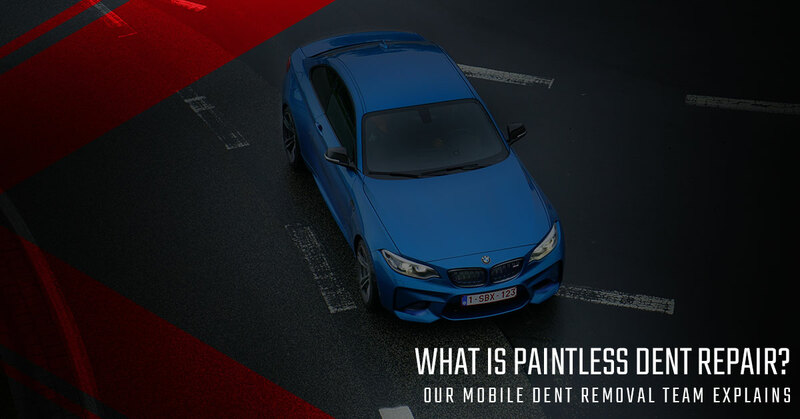 Also known as paintless dent repair, this method of car restoration results on refined tools and precise techniques to softly restore the vehicle’s finish to its original beauty. Regardless of your location, Dent Authority, Inc. is here to deliver top-notch paintless hail repair for vehicles of all shapes and sizes. This modern service is designed to be more durable than traditional dent repair, benefitting you up front and in the long run. Today, we’ll highlight what PDR consists of and how advantageous it can be for restoring the vehicles for drivers, dealerships, body shops, and more. Assess the damaged area – One of our experts will arrive to inspect the areas in need of service. If PDR is not your best option, we will inform you beforehand. Gain entry to the dent – In order to enact repairs for most dents, our technician will need to remove interior or exterior panels to gain access. Reevaluate the damages – Once full access is achieved, we’ll make a final inspection to ensure that we have the right tools and plan in place for a beautiful outcome. Enact dent repairs – Finally, our team our team gets to work, slowly applying pressure until the dent is reversed. 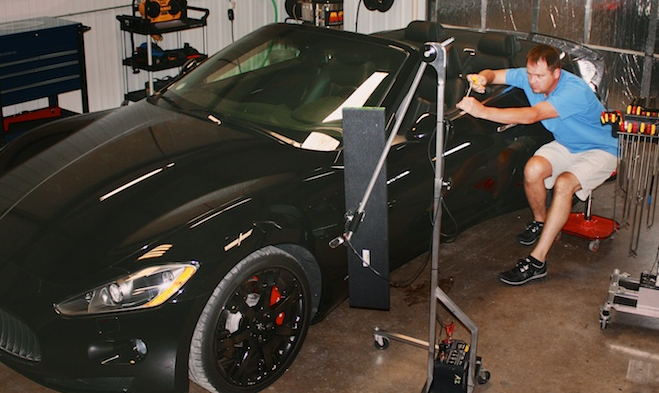 When compared to traditional restoration methods, paintless dent repair is much more beneficial. Until recently, dent repairs consisted of using fillers to cover dents and restore the original curvature of the surface. Then, paint was utilized that matches the original color for a seamless result that often looked as good as new. While aesthetically pleasing, traditional dent repairs require a lot of materials, time, and labor to ensure a quality result. Even then, these “repairs” do not actually address the damage. Many drivers are unhappy to learn that these services can also fade or fail over time, and may not add value to your vehicle when it’s time to sell. Paintless dent repairs from Dent Authority, Inc. can improve the outcome for you and your ride. Our services are fast, effective, and cost much less than traditional dent removal. Drivers are always ecstatic to see the beauty of their vehicle restored without messy or short-term solutions. Dealerships – Hailstorms can create long hours and serious stress for automobile dealerships. When a storm strikes, quick action is required to get your operations back on track. Our quick, effective repairs can benefit your bottom line and insurance claims. Body shops – Inclement weather can create a large demand for dent repair services. If your town is reeling from damages, our mobile dent repair experts will be happy to assist, delivering complete services to help you expand your body shop’s quality services. Retail establishments – In some situations, dent repairs may prove beneficial for retailers with shopping cart problems. Paintless dent repairs can prove to be a fast, affordable solution for all parties involved. Beyond being the most comprehensive solution for car dent removal, our PDR services are also backed by our complete support. Dent Authority will work with your insurance company, providing a fast and effective outcome that frees you up to focus on more important matters. If you’re looking for a source for complete paintless dent repair services, our team is happy to lend a hand. Contact us today to learn more, and be sure to ask for a quote for your paintless hail repair services!